Leads global team working for clients in health. Passionate about how consumers change the way healthcare is designed, delivered and funded. Long distance biker – metaphorically and actually. Patients are becoming engaged and active consumers, forcing the health industry to transform. Twenty-first century health systems are facing profound pressures for change. Rising costs, growing consumer expectations, new technologies and increasing globalisation all place intense and disruptive pressure on the health sector. For advanced economies, it is clear that the challenges of sustainability and growth can no longer be dealt with by traditional industry responses and practices. Many emerging economies are bypassing the traditional altogether, delivering health services in very different ways in an effort to better align health spending with economic constraints. A long-awaited transformation of the health system is underway. Powerful elements such as social networks, innovation, technologies, data analytics, new industry players and the most powerful of all, a maturing consumerism come together to drive this transformation. Three shifts are presently unfolding that pave the way for major disruption to conventional health care systems. The promise of participatory health to change the health care system is encouraging, but this change needs to be driven harder and faster. A groundswell is beginning to develop and it is time to have the conversation about what will be necessary as the consumer becomes a full participant, and then moves into control through being an equal partner in health care. This conversation will need to include how to redefine the importance of the patient in the health care system as a vital lever in the effort to reconfigure supply and demand and drive toward sustainability. The health industry will need to step up to drive the disruption and take the lead in developing innovations and delivering transformation. 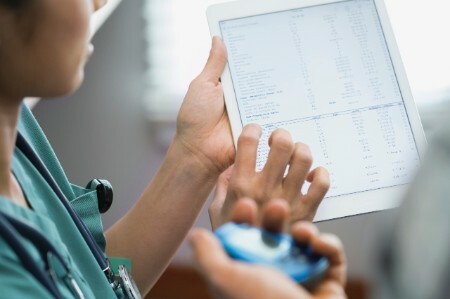 New relationships and new ways of partnering that blend health care expertise with high-tech skills, connected technologies and deep consumer insights will be necessary to foster innovation and shift from legacy ways of delivering and paying for care. Participatory health — what’s in a name? Participatory health is a relatively new stream of thought in the literature of patient engagement. Participatory health is usually described in terms of a transformation in the patient-provider relationship and is premised upon individuals taking active responsibility for their health. To do this, they draw upon digital technologies; look to peer and social networks for support; and act as an equal partner in shared clinical decision making. Technological empowerment is key to individuals (and their circle of support) becoming more health literate and actively engaging in and managing health. The Society for Participatory Medicine has been instrumental in articulating and popularising patient empowerment and engagement through participation. In particular, in recognising that the future of health care rests with “e-patients” as active and autonomous contributors. The way that we view and interact with the world is altering and participatory health is an echo of complex changes underway in the broader community. Mobility and near universal smart device ownership underpin a new social contract as culture, identity and relationships shift toward sharing and participation. Participatory health is more than just better patient inclusion and a transformed patient and provider relationship, which many argue should clearly underpin the nature of any therapeutic relationship. Participatory health is reflective of a deep and profound shift in perspective around health toward well-being and wellness, greater convenience, flexibility, self-direction and personalised experiences. But most importantly, the tools of participation open consumers to a world of alternatives that the emerging digisphere, social media and affinity networks will enable. New entrants, new funding routes, ultimate choice and highly deregulated social constructs open new pathways toward health and wellness. Social 2.0, a rich, interactive and dynamically changing virtual environment, is a core platform underpinning participatory health. Social networking tools and dynamic web capabilities combine to create channels or platforms through which consumers can obtain information, find or establish affinity with others, share experiences and encouragement. Increasingly universal, Social 2.0 is growing into its capabilities, building the routes between the consumer and the personalised knowledge and expertise that is necessary to their well-being. Slow to adopt the capabilities of new technologies, the health industry is now awash with wearables, devices, sensors and apps with functionalities that range from supporting health and fitness through to the management of clinical conditions. Personal technologies are foundational to participatory health as care shifts to the home or community and as self-quantification becomes part of daily life. Application is broad, ranging from personal data collection and self-monitoring through to chronic condition management and participatory epidemiology. Health care consumerism is on the rise, driven by individuals bringing a very different perspective to health. In part, due to consumers seeking value and better outcomes as they increasingly participate in self-management of health and wellness, and, as many bear more of the financial burden of their care. This shift is emerging as people expect health care to deliver what they have in other areas of their lives — connectivity, mobility, agility, immediacy and the tools for self-direction. In the long-run, doing nothing is not an option, and some parts of the world are shifting quickly toward the vision of participatory, connected, technologically-enabled health care. A generational shift is underway and the world is moving away from legacy models that struggle to keep pace with the rapidly changing environment. As the shifts to digitally-enabled systems evident in developing economies show, the building blocks of participatory health and the digisphere are already here. And so, it is time to reimagine health care with fresh eyes and begin the conversation about a radically different future. The future for health care lies in bold changes in business models, policy and funding models that position consumers as engaged participants.